Does your entire house change as you decorate for Christmas? We visited my aunt and uncle this week, and their house always inspires me with how everything looks just right. 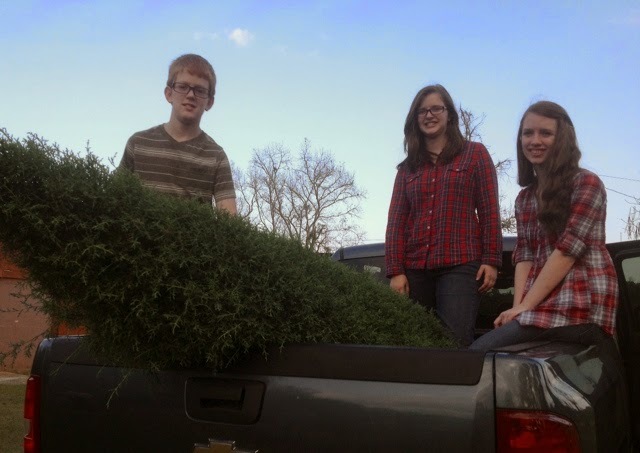 This year their tree was decorated perfectly, a task we haven't completed at our house yet. We just got a real Christmas tree this weekend, and only have lights on it so far. It even makes the living room smell like Christmas. We will decorate it soon, sharing memories as we take our special ornaments from the storage boxes one by one. My husband saved some of the wonderful smelling greenery when he trimmed it, and I'm planning to either make a wreath for our front door or a pretty centerpiece for our dining room table. You can't go wrong with greenery and pine cones, which there plenty of here. Our house is far from having "everything in its place" but it is turning into a Christmas wonderland. Our kitchen is filling up with extra ingredients for everyone's favorite recipes that we just make this time of year. Crunchy party mix, creamy pralines, layered peppermint bark, and rich cocoa mix are a few of our plans. My son's special request is that we make my sister-in-law's "puppy chow" recipe. We might even try homemade chocolate covered cherries again. Every year we add more to our list of favorites. Hot cocoa is one of our yearly mixes to prepare and share. This year we changed things up a little with a hot cocoa bar. All that is missing are the candy canes that I forgot to grab while we were shopping. Do you have a favorite mug? Our cocoa isn't exactly a typical recipe. We pour everything into a really big mixing bowl, mix it up, then taste test in hot water. If it is not sweet enough, add more powdered sugar, not creamy enough means more powdered milk or creamer. Sometimes we add marshmallows to the mix, but I prefer it without so usually just have them available for the kids. Mix: large container dry hot cocoa (not cocoa powder), one box confectioner's sugar, one 18oz container dry coffee creamer, and 2 cups of dry powdered milk. Once you get the ingredients just the way your family likes it, three heaping tablespoons of dry hot cocoa mix stirred into hot water makes the perfect mug of hot cocoa. You can add marshmallows, a candycane stirrer or crushed peppermint sprinkles, or whipped cream. The mix can be shared in a mason jar decorated with a pretty ribbon or in any other pretty container. What are some of your family's favorite recipes that you only prepare at Christmastime? My oldest daughter's favorite drink is "frozen hot chocolate" which we make using this mix, but blend with ice. It is more like a dessert than a drink. In our house we have kept some of our christmas decorations from years ago and put them up with new ones too. I think hot chocolate is the single best reason for cold weather ever. I live in Chicagoland, and the ONLY good thing about winter is drinking hot chocolate. In love hot chocolate and can't wait until it is cold out to make some. I was upset last night when someone ate all my marshmallows. My son LOVES hot chocolate! My husband on the other hand - not so much! I love Winter specifically because we get to drink hot chocolate. My kids are following in my footsteps and I couldn't be more proud. My husband though? Not a fan. He's weird. Hey! Even us Floridians drink Hot Chocolate. So yummy! Hot cocoa sounds really good about now, I'd love a cup! I haven't had hot cocoa for ages. Sounds good right now, though! I love hot chocolate! My kids like it too, but they more so like picking out the marshmallows we put in! I love hot chocolate. It is such a delicious way to warm yourself up. I love these bread pans from Family Christian. 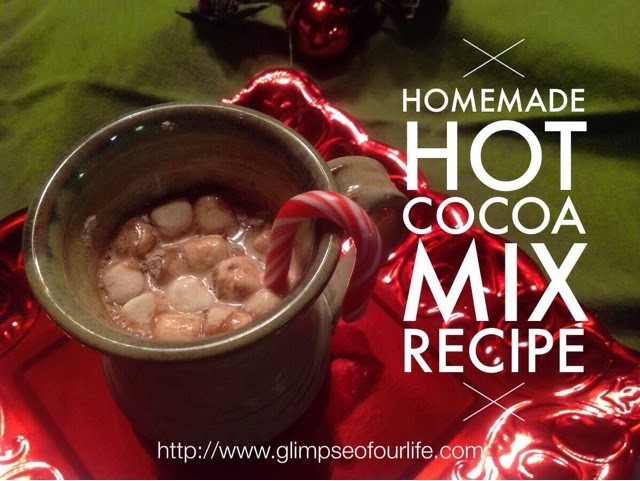 This cocoa homemade mix would make a perfect gift for some people I know. What an awesome idea and recipe. Thanks for sharing. great gift ideas! thanks for the coupon too. it will come in handy for sure. Ahhhhh I love hot coco! And that's so much for the awesome coupon! Awww love your gift ideas. We make and give hot cocoa away for holiday gifts and people do love it. It taste so much better than the packets! It is freezing here now, Latonya, and the kids have been requesting this. Chocolate chips would be good in it, too. You just reminded me about how much I love cocoa! We have had such a warm winter in Dallas this year that I hadn't thought to make any. We really love hot chocolate in our house. I think I am going to have some right now I think. I love hot chocolate and even make my own on occassion. That reminds me I need to make it again soon! That bread pan you linked too is so cute! I can see a nice loaf of homemade bread in it with a card for a widow or someone! Great post!!! I love hot chocolate. Last time I made some homemade it was a little too sweet. I'll have to try it your way. Sounds yummy! I love hot chocolate! I'm not a coffee drinker so hot chocolate is my go to drink when it's cold outside. Your recipe sounds really good, much better than prepackaged mixes! We love hot chocolate! Living in the South we don't get to drink it all the time so my kids really appreciate it when we do. Thanks for sharing the recipe!